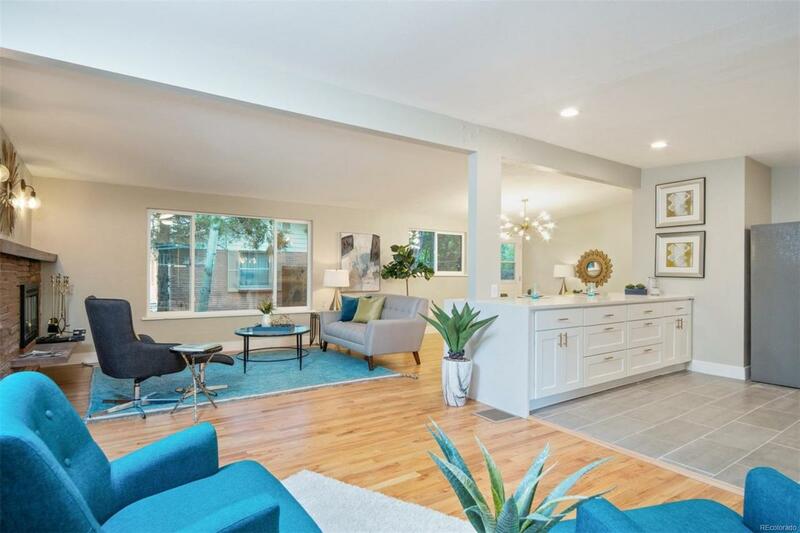 In the hidden gem of Southwood, you'll be amazed by this HGTV-quality, fully-renovated mid-century modern ranch. No stone left unturned and unparalleled craftsmanship will meet the needs of even the most particular of buyers. Upon entry you're greeted by a wide open floorplan and an incredible kitchen with quartz counters, stainless steel appliances, and soft-close maple cabinets. The living, dining, and kitchen areas flow seamlessly into a large outdoor entertaining space. This home has three bedrooms and 2 bathrooms (one of which is en suite in the Master) with custom showers and IKEA vanities. All major systems have been updated, all permits pulled, and an over-sized two car garage with storage/work area all situated on a 1/4+ acre corner lot. Top-rated schools, unbeatable amenities and the Highline Canal blocks away. Don't miss this one.